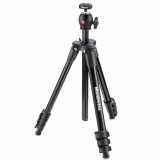 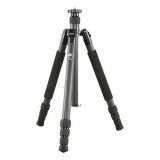 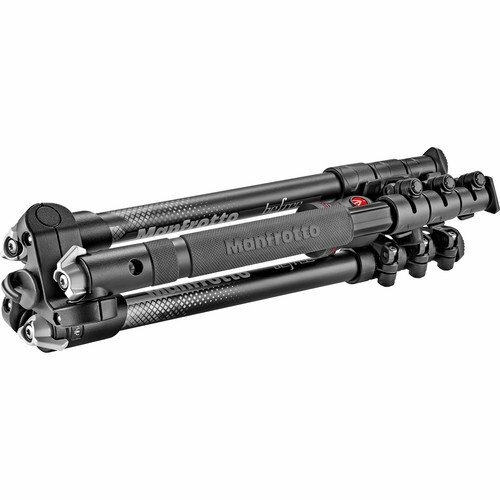 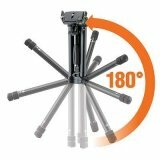 The gray BeFree Color Aluminum Travel Tripod from Manfrotto is a compact, lightweight, and sturdy camera support designed to accompany you from the trail to the studio and anywhere in-between. 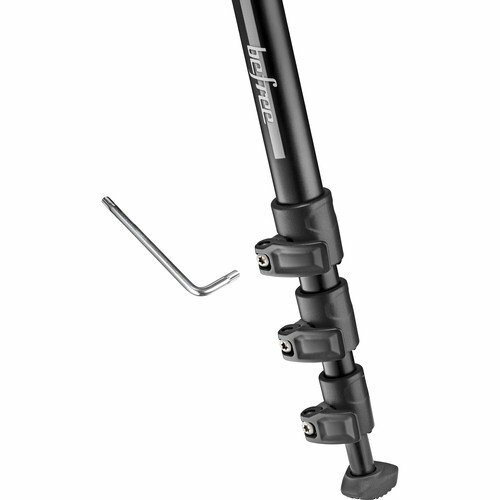 Featuring a lightweight aluminum construction, the BeFree Color maintains durability and rigidity despite its 4-section design and 3.1 lb frame. 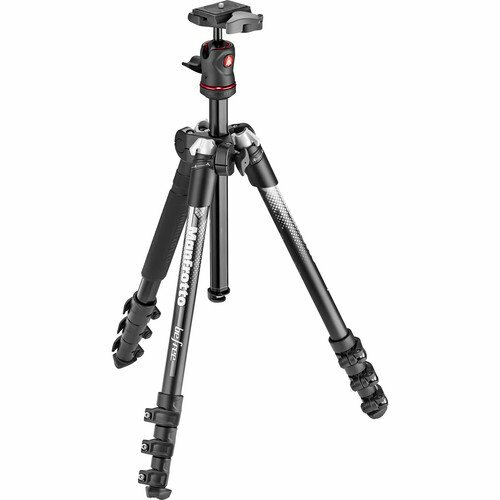 Capable of reaching heights comfortable for most shooters, the tripod can be set to any position ranging between its minimum height of 13.4" and its maximum height of 56.7". 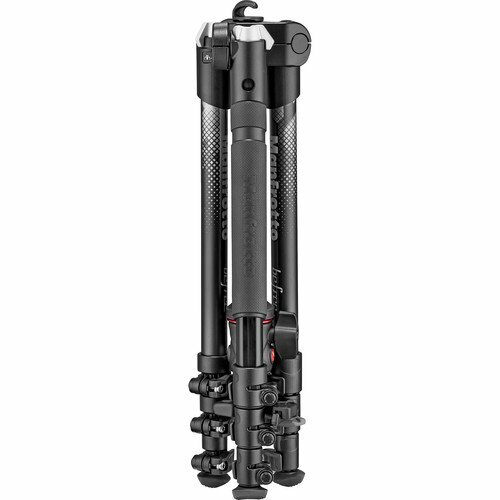 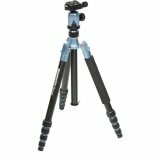 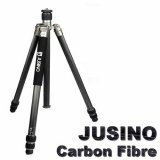 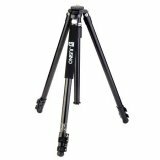 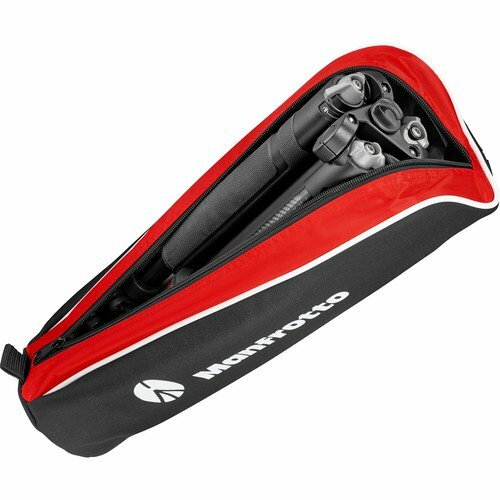 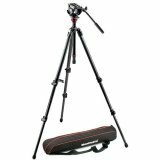 The 4-section, inverted legs, travel-style design allows the tripod to collapse down to just 16.1" in length for storage or transport and includes a fitted carrying case to make carrying even easier. 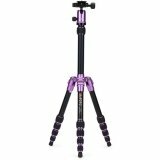 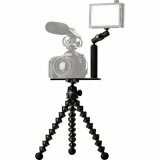 Included with the tripod is a single action ball head which, along with the legs, allows the entire kit to support up to 8.8 lb, enough for many DSLRs, camcorders, mirrorless, and compact cameras. 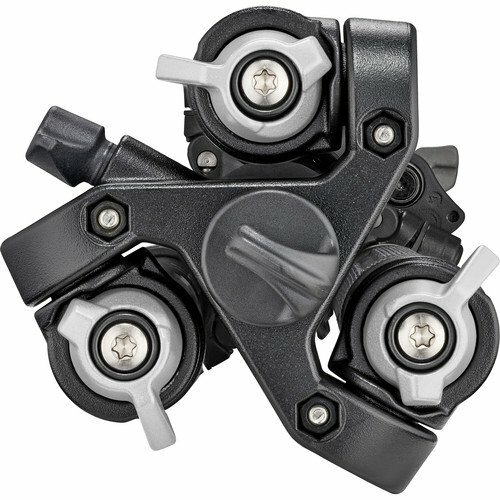 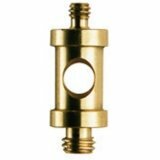 The head utilizes a Manfrotto 200LT-PL quick release plate, which features a 1/4"-20 screw compatible with most cameras. 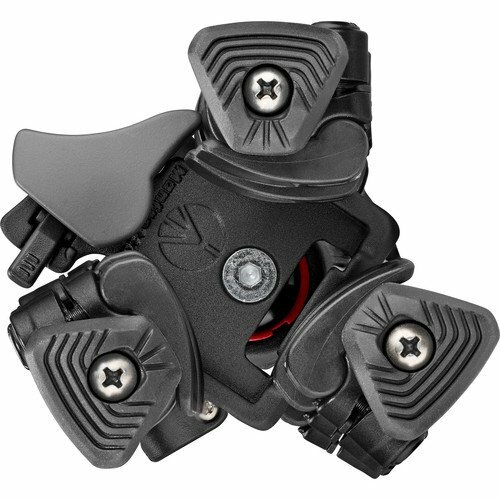 The BeFree Color series has improved on previous models with a few new additions worth noting, the first of which are redesigned rubber feet that provide a more secure grip on almost any terrain. A ballast hook has also been added to the bottom of the center column to allow users to add weight to the tripod to increase stability and lower its center of gravity. 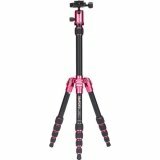 Additionally, modern graphics and colored paint have been added to the BeFree Color's design to update the overall look and feel of the tripod. 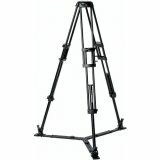 Box Dimensions (LxWxH) 17.1 x 4.6 x 4.5"